Many of Dr. Hatch’s patients suffer from scoliosis which involves considerable lateral bending of the spine with rotation of several spinal bones (vertebrae). Left untreated, severe scoliosis can cause significant and permanent physical deformities. Scoliosis can be detected when a patient is asked to bend forward and a hump rises lateral to the spine. X-rays should be used detect the severity of the scoliosis. Spinal bracing or surgery may have value in some cases, but braces are uncomfortable and socially awkward, and surgery is a major undertaking. Spinal bones are meant to move. When a section doesn’t move, other areas will pick up the resulting mechanical stresses. Many of my patients that have had this type of treatment have regretted it. The sad thing about fusion is that once it is done there is no turning back. Idiopathic adolescent scoliosis may actually be a neurological maturation problem where one side of the body is out of sync with the other. Based on that theory Dr. Hatch and other Chiropractors focus their treatment on the nervous system when faced with idiopathic adolescent scoliosis. Stimulation of spinal joints through chiropractic manipulation provides neurological stimuli to affected joints. Dr. Hatch’s focus on the spine and nervous system makes the doctor of chiropractic an ideal choice for diagnosing and treating scoliosis. Coordinate those body parts. In conjunction with hands-on spinal care, postural exercises provide feedback to the central nervous system; and when done correctly, help the body’s proprioceptive systems wake up to a correct interpretation of what is straight, versus imbalanced. In summary, the watch and wait theory is only a good idea if you don’t mind your scoliosis advancing. The early you catch it and begin intervention with corrective spinal adjustments and therapeutic exercises and stretches the better. The Hatch Chiropractic staff looks forward to caring for you, and your entire family! 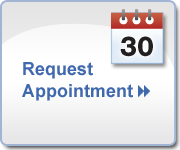 Select the button below to schedule an appointment or call us at (303) 841-7121 today to schedule your appointment.